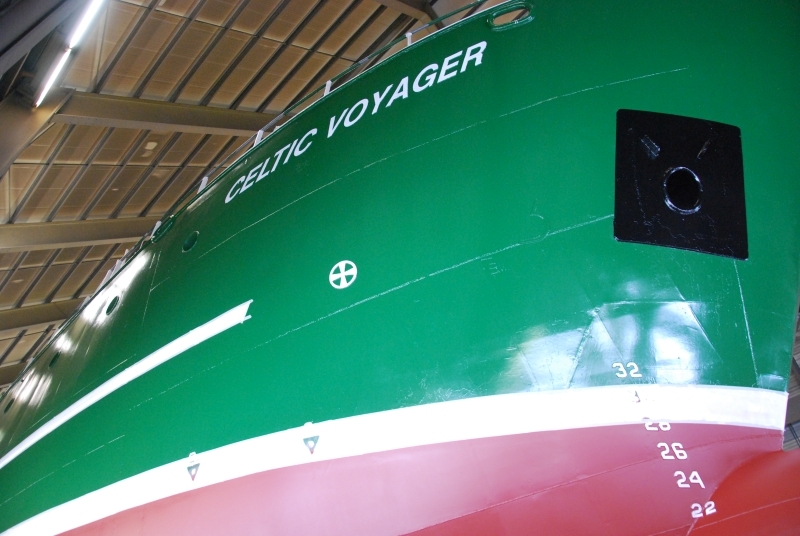 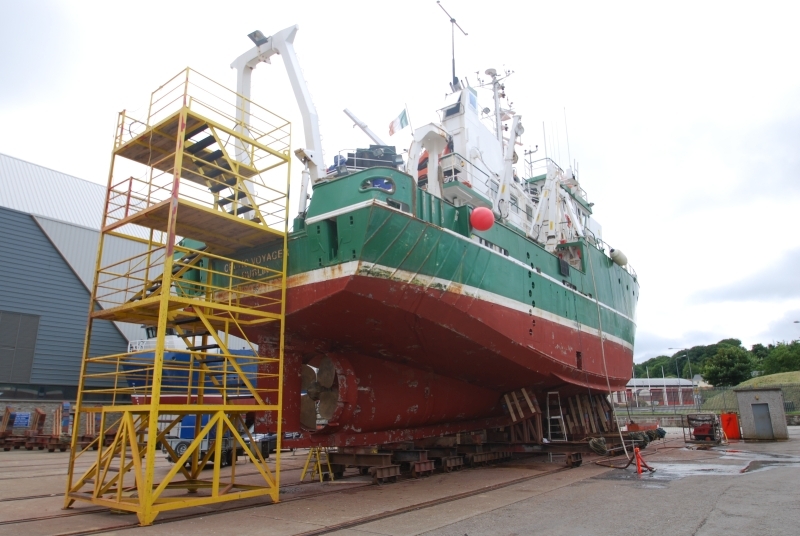 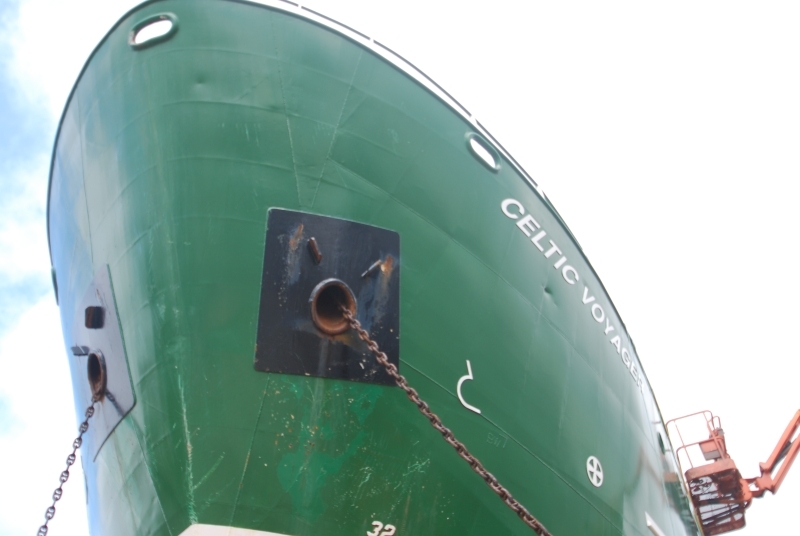 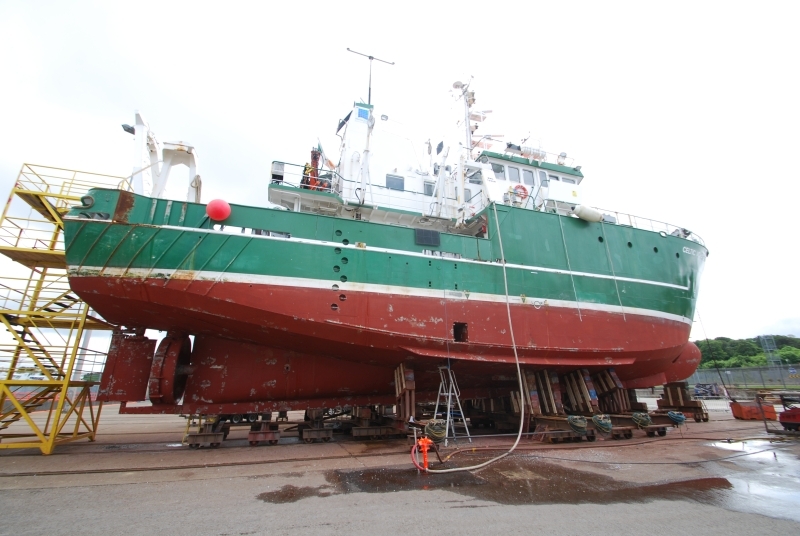 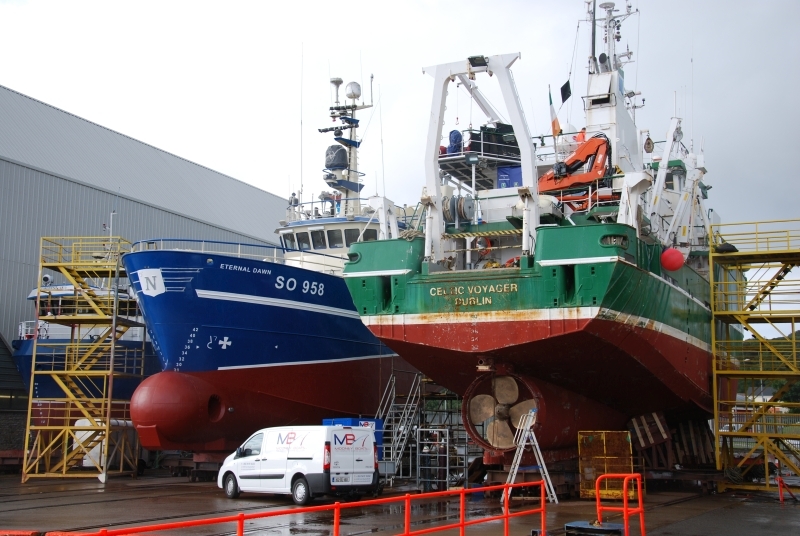 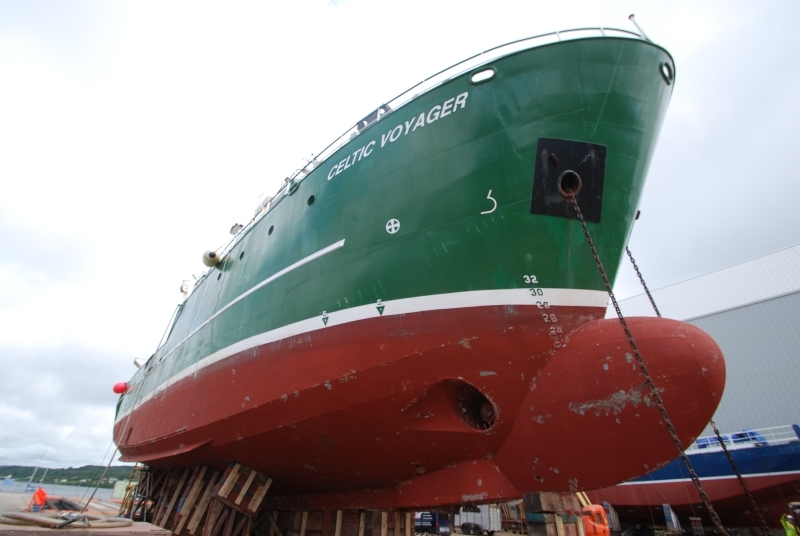 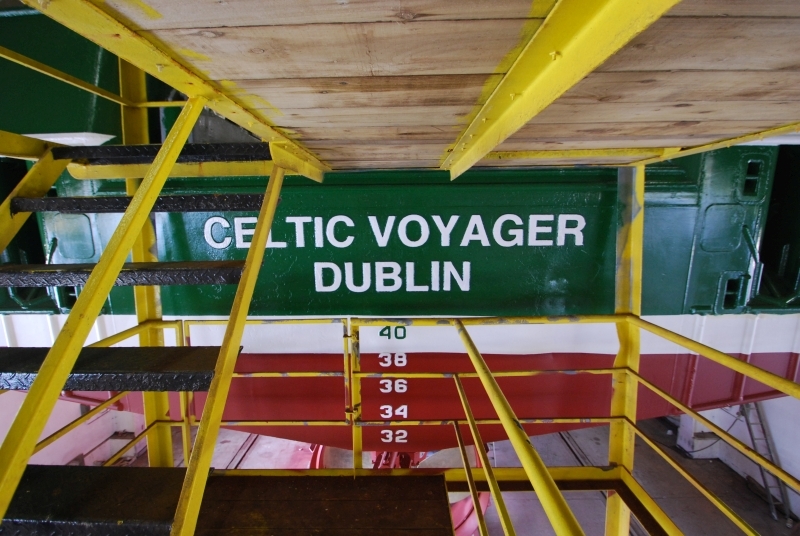 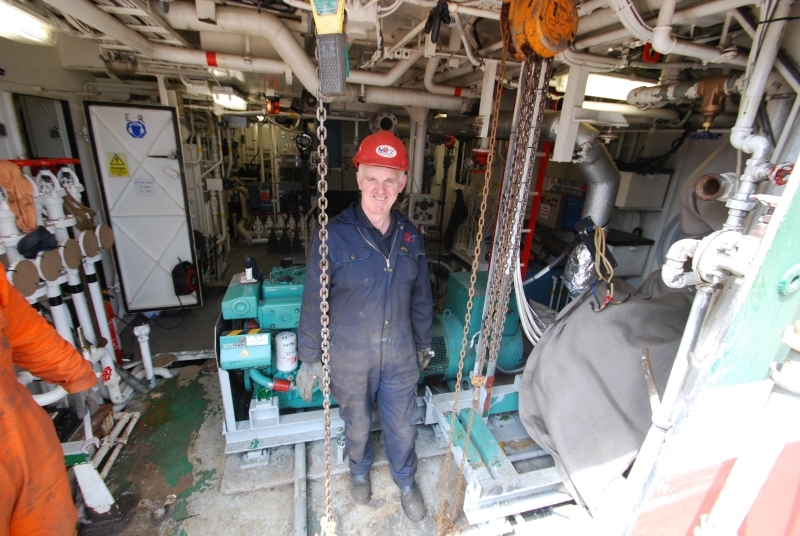 Marine Institutes vessel the RV Celtic Voyager was recently up at the yard for fitting of a new main engine. 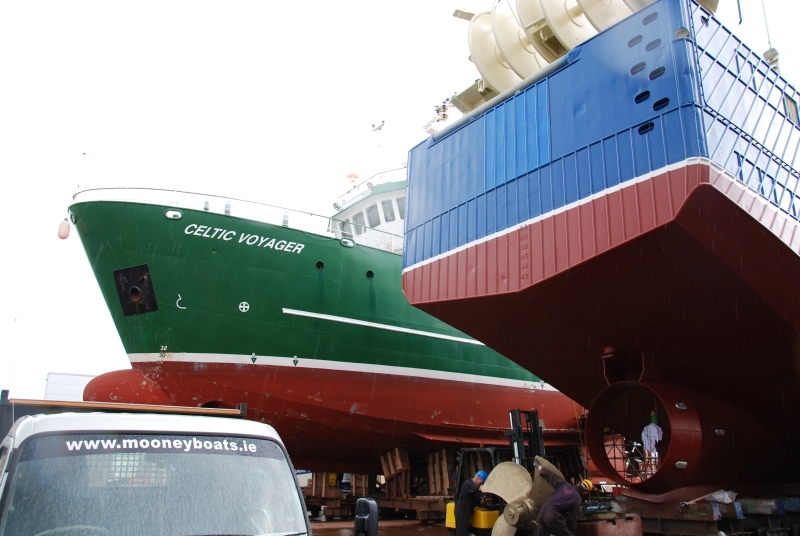 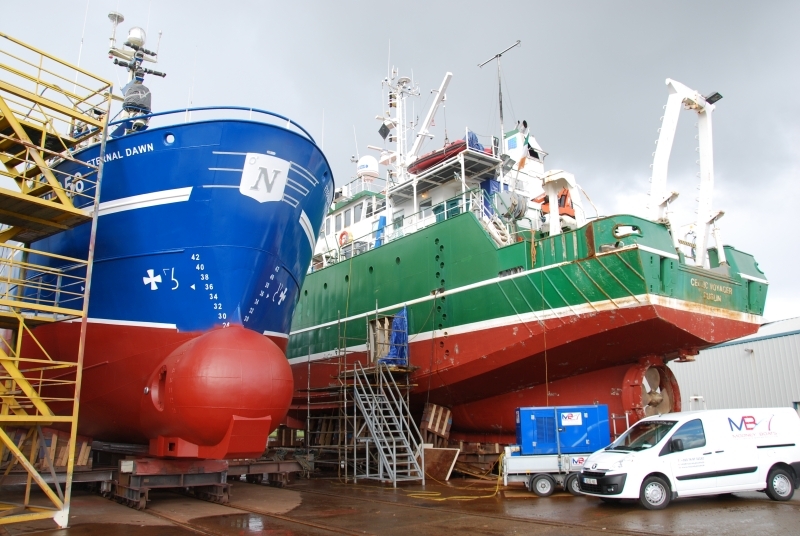 Mooney Boats Ltd began the project on the 10th July when the vessel was dry-docked on the Synchrolift. 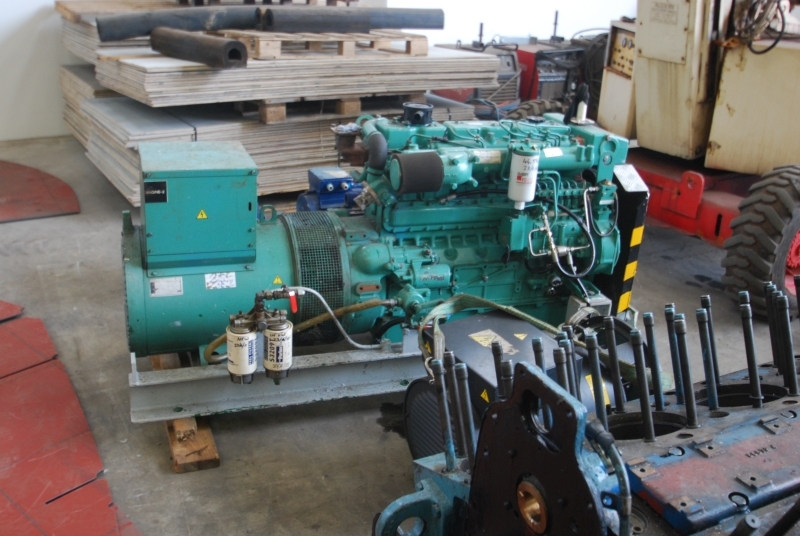 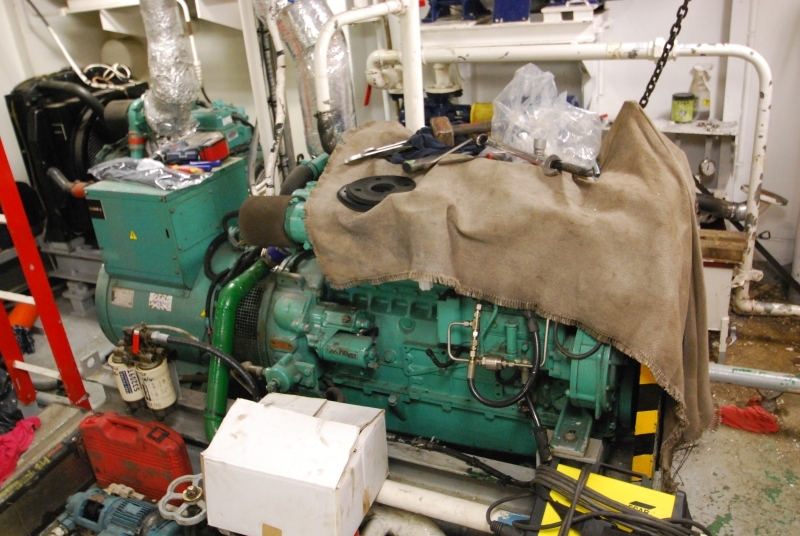 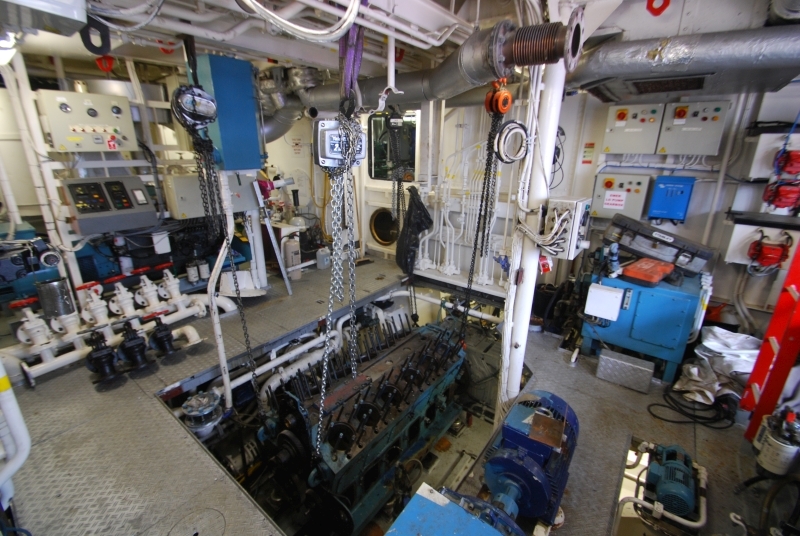 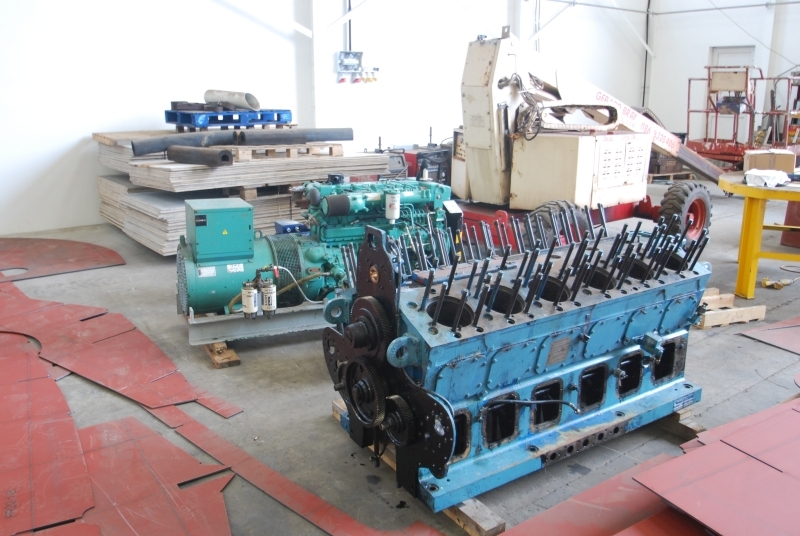 The port side of the vessel was cut and the auxiliary engines and equipment were removed so that the old engine could then be taken out through the side. 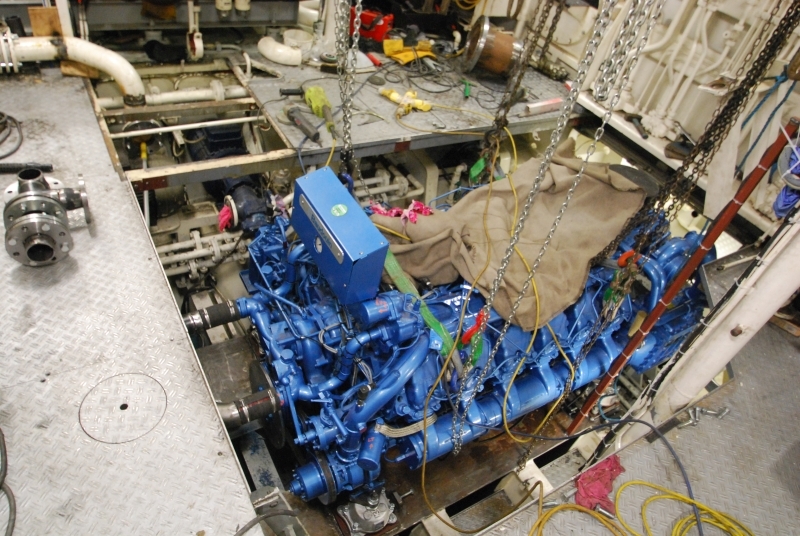 Once all equipment was removed the new engine was installed though the port side and fitted in position. 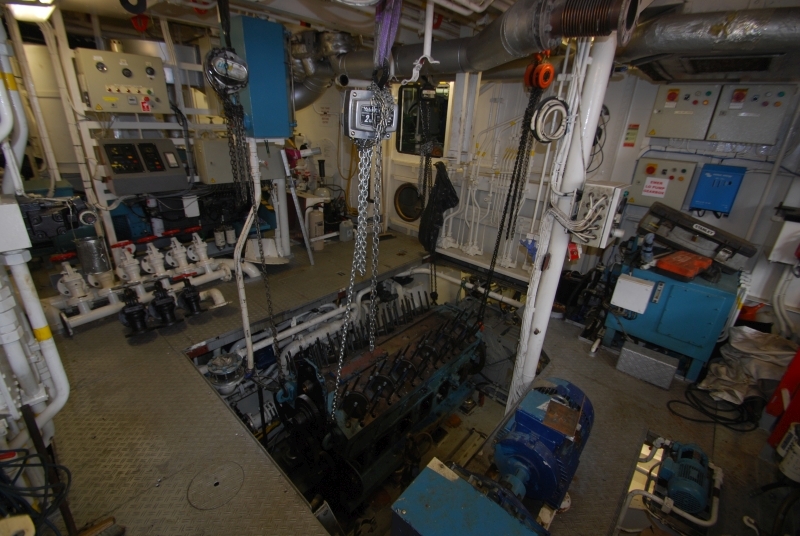 All other equipment was then put back into the ship and the side was welded back into position. 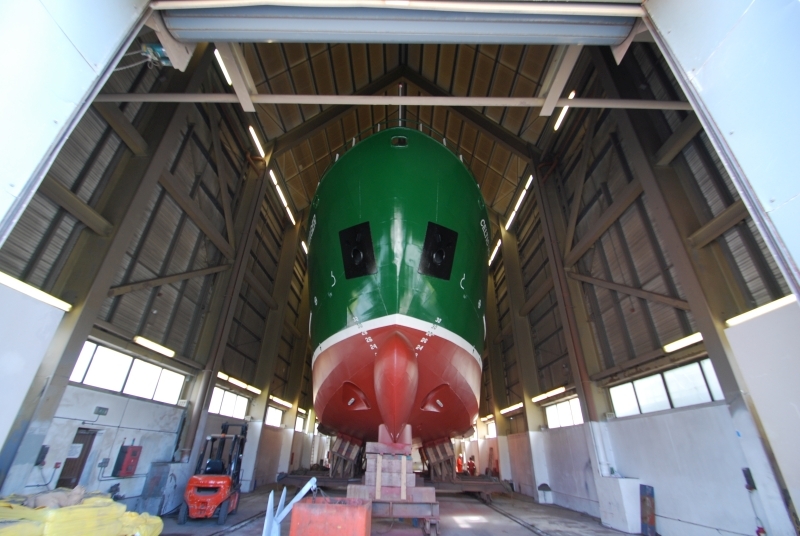 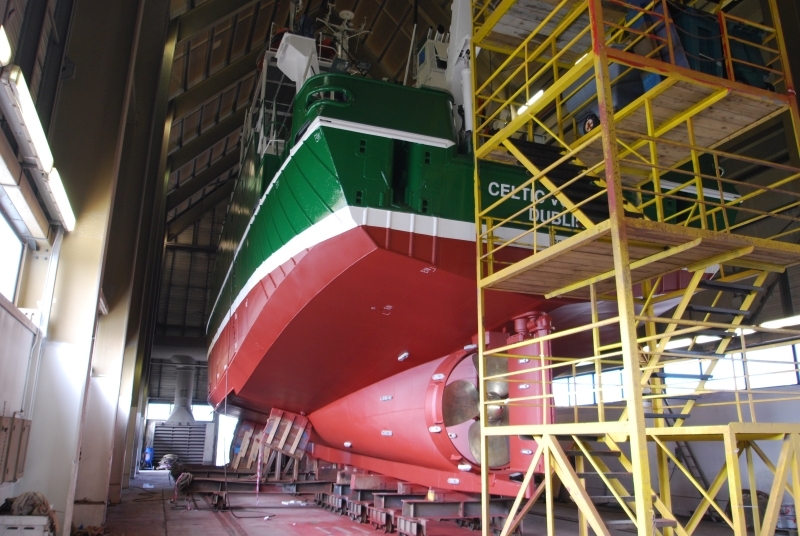 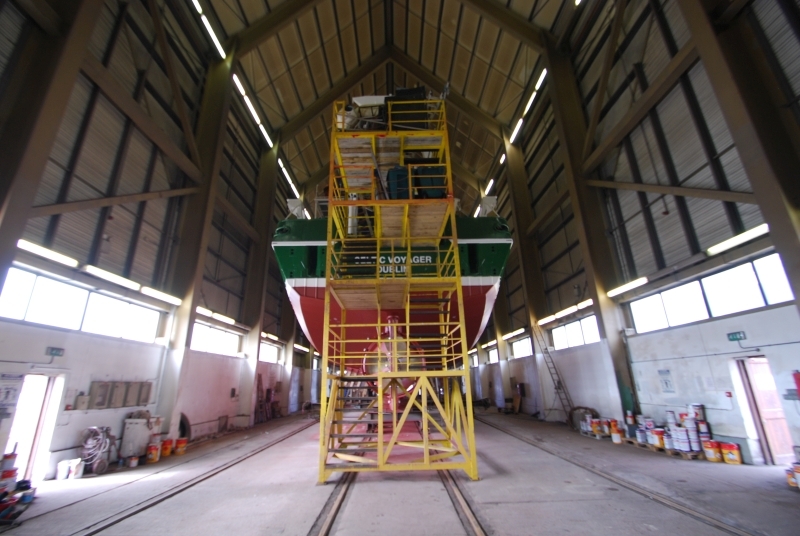 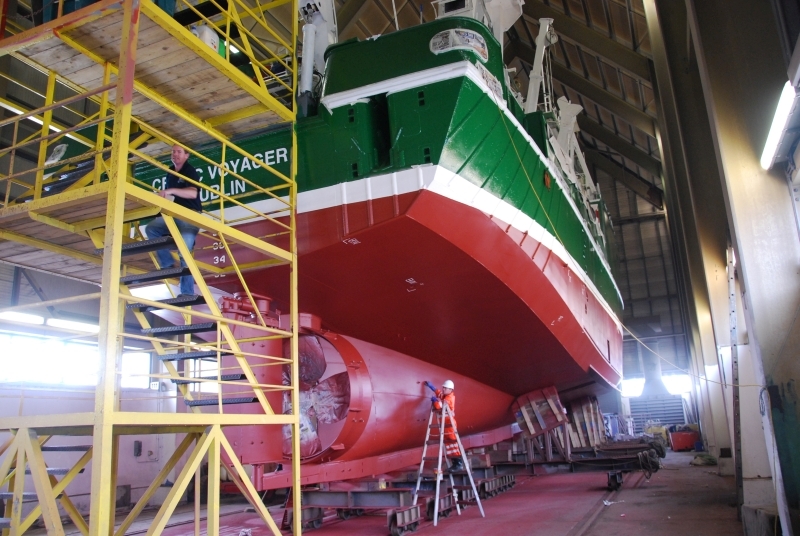 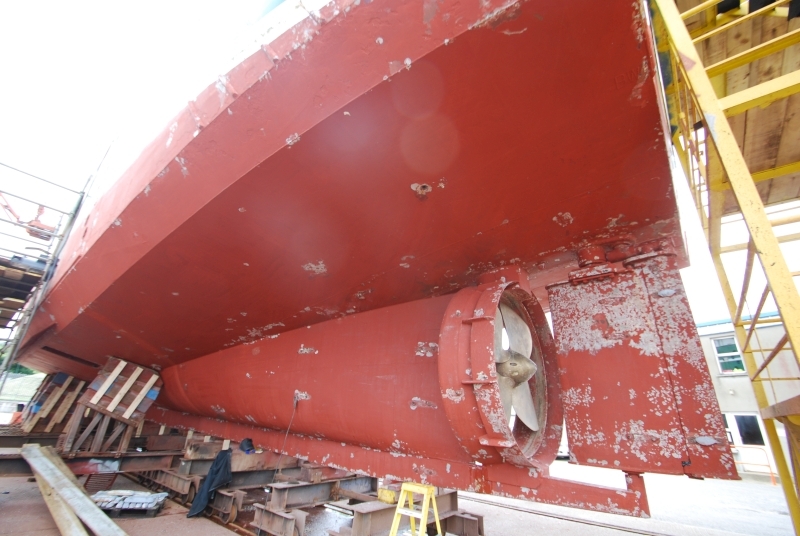 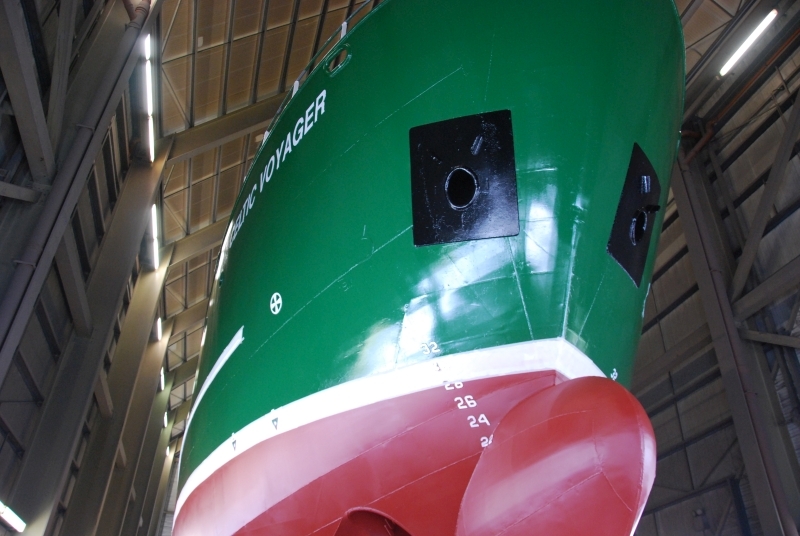 While the vessel was in dry-dock the yard shot blasted and painted the hull below the waterline and painted with a Jotun paint system. Above the waterline and externally on the ship was also completely painted on the new. 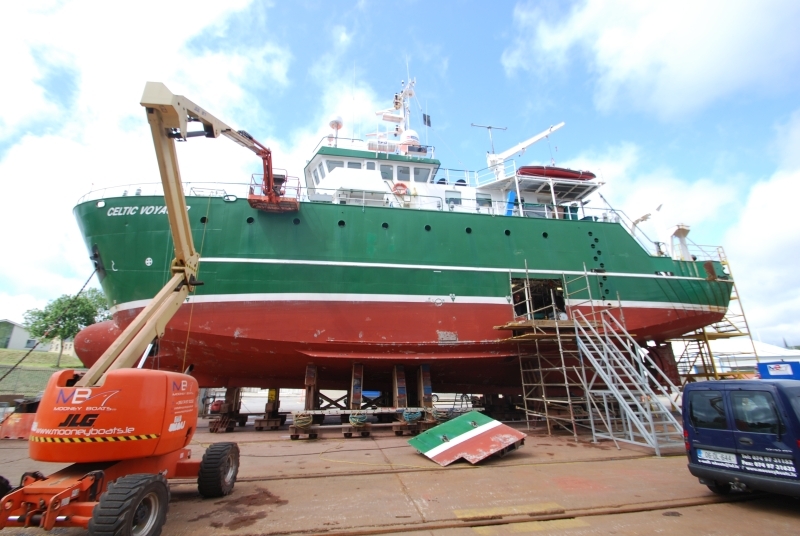 The yard also completed other works on the vessel which included 2 new deck wash pumps supplied & fitted, new marine cooker for the galley supplied and fitted, new seating for the accommodation & mess, new NorSap 1500 skippers chair supplied & fitted and also main other smaller maintenance jobs which were requested by the owners. 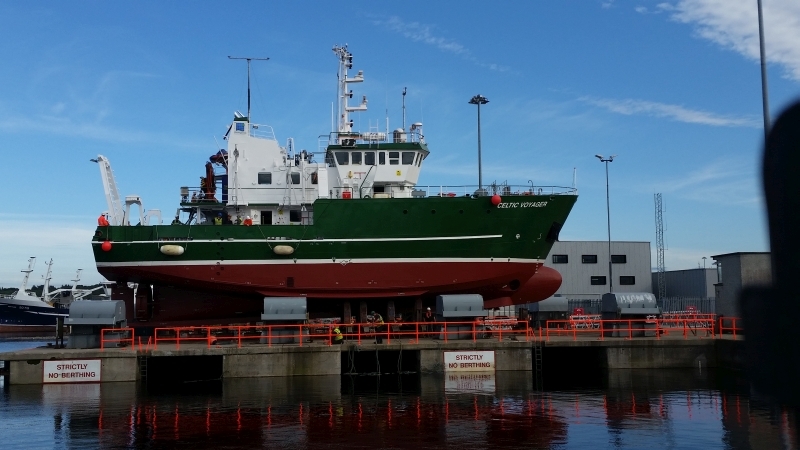 Successful engine trials which were overseen by Baudouin engineers and also Lloyds surveyor were completed the vessel departed the yard 20th August less than 6 weeks after her arrival.